This video features the uploader's top ten favourite games that he played on the Atari 2600 console. I never owned one of these, but my first games console (if you can call it that!) was a Binatone TV Master which had very basic built-in games which were all based around Pong. However, my first computer was an Atari 800XL and I quickly became an Atari fanatic and continued buying Atari's well into the 90s. There were many games on the 8-bit machines that were influenced by the 2600. Anyway, I like the choice of games in the video as it quite different from the usual cliched lists. What are the titles? Well, you'll have to watch the video to find out - I can be so cruel sometimes - but here's a clue, these games were controlled with the paddles. Now, at first glance this list appears to be pretty crazy. I thought I'd include it here as you get to see all the cartridges which are bound to bring back some fond memories. This list of games includes E.T. and Pac-Man, which are widely recognised as being two of the worst games ever released! 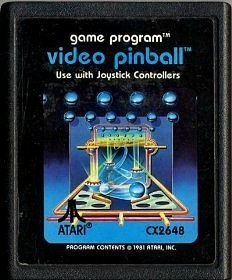 Pac-Man, of course, is an excellent game on most other formats, but the Atari 2600 conversion was simply lousy! However, the list actually represents the top ten best-selling games for the console, so it's not quite as ridiculous as it may seem. Although E.T. initially sold very well in the run-up to Christmas 1982, the very poor quality of the game led to customers returning their cartridges in their droves. Couple that with a huge number of unsold cartridges due to overproduction (an estimated 2.5 to 3.5 million) and the game caused a huge financial disaster for Atari. 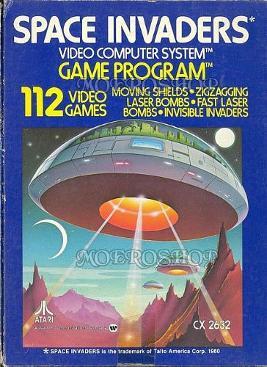 The game is also considered to be one of the causes of the video game industry crisis of 1983. Despite its commercial success, Pac-Man on the Atari 2600 was a notoriously bad game to play due to its flickering graphics. 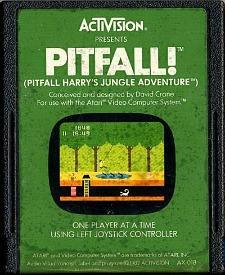 Pitfall became the second best-selling title for the 2600 shifting around 4 million copies. It is this game that, quite possibly, started off the platformer genre. Space Invaders was an incredibly successful game in the arcades. 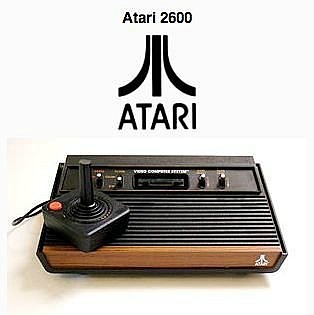 It was also successful on the Atari 2600 selling around 2 million copies, and helped to boost the popularity of the console.